The best way for you to avoid structural damages during a bomb cyclone is by hiring our snow storm New Jersey team at 911 Restoration of New Jersey to make all the necessary repairs right away. It is important to act fast in situations involving blizzard damage, which is why our techs guarantee to arrive within 45 minutes of receiving your call. It doesn’t matter what time of the day or night you experience snow storm damage in your home or business, our snow storm New Jersey agents are available 24/7/365 to help you. Through our immediate action, we will get your home restored in no time. So, call our experts today and we will get the blizzard damage restoration process started with a free inspection. One of the aspects of a bomb cyclone that can be most difficult to deal with is the extreme drop in temperature that occurs in a very short amount of time. Since this happens so suddenly it can be difficult to prepare for this type of incident. When these freezing temperatures occur, it can cause your pipes to freeze. This causes the water inside of them to expand, bursting the pipe open. 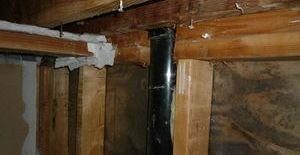 Once the water begins to flow again it can rapidly flood your home. Our snow storm New Jersey technicians will provide you with this high-quality blizzard restoration work when you are experiencing a pipe burst through the use of state-of-the-art remediation technology. In order to get the most efficient remediation services during a bomb cyclone call our experts the moment you notice any cracks or breakage in your pipes. When heavy snow is beating down on your roof and water is leaking through your roof, it is no surprise that you and your family are going to be feeling anxious in that situation. There is nothing our specialists want more than to keep their customers safe during a bomb cyclone, which is why we stay constantly accessible to property owners. We hope that just knowing that you have qualified pros standing by at all times is reassuring enough, but we want to take it a step further by being that shoulder that you can lean on throughout the snow storm. As a way of providing you with excellent customer service during a blizzard, our pros will go over your insurance policy and even file your claim for you. 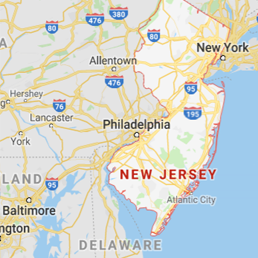 Call our snow storm New Jersey pros at 911 Restoration of New Jersey today and we will give you the fresh start you need to move on after your home is affected by a bomb cyclone.